Thank you for your interest in The Modern Pantry! 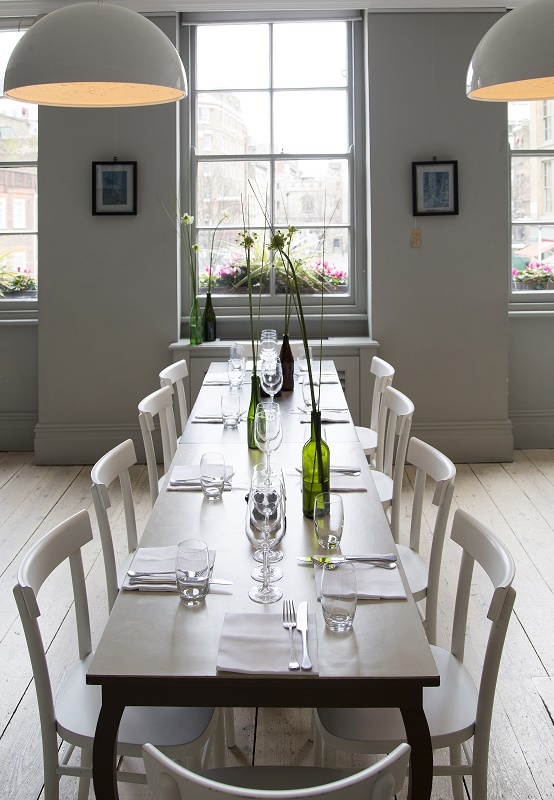 The Modern Pantry Clerkenwell is Anna Hansen’s renowned original all day eatery. 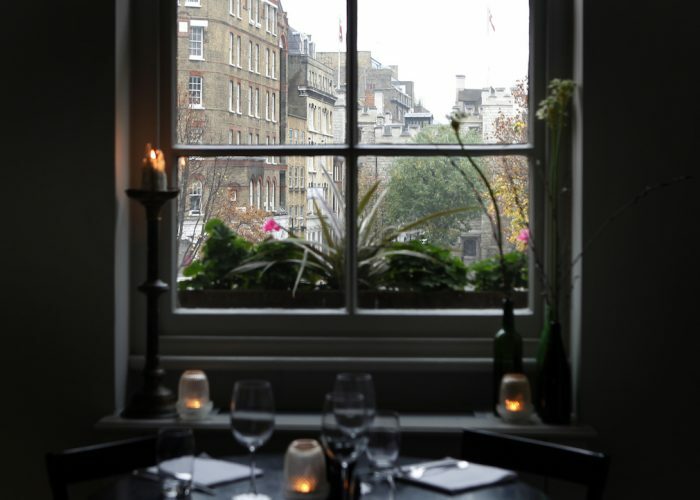 Housed in a stunning Grade II listed townhouse & decorated in a contemporary style referencing Gustavian tradition, it offers a range of private dining spaces. All of the rooms are flooded with natural daylight & intimately lit in the evening & are available for breakfast, lunch & dinner events. The South Dining Room can seat up to 22 diners on one large table or up to 40 diners on four separate tables. 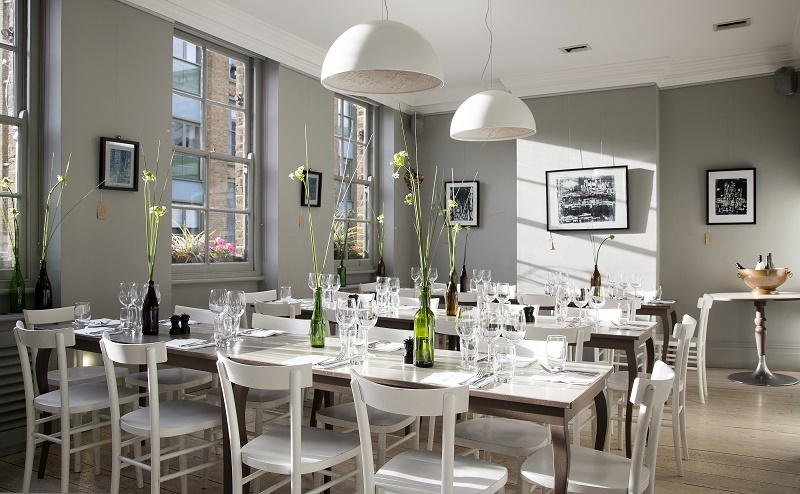 The North Dining Room can be used in conjunction for seated parties of 70 or up to 100 standing guests. The Foundry Room is perched on the top floor of the building. 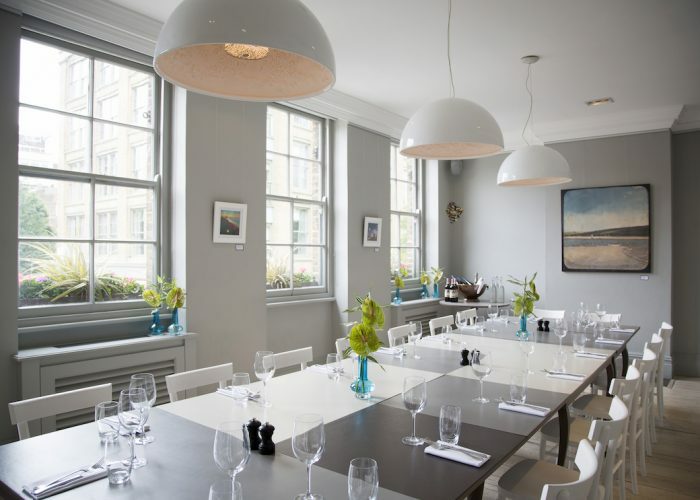 Recently refurbished, this intimate space is perfect for parties of 12. 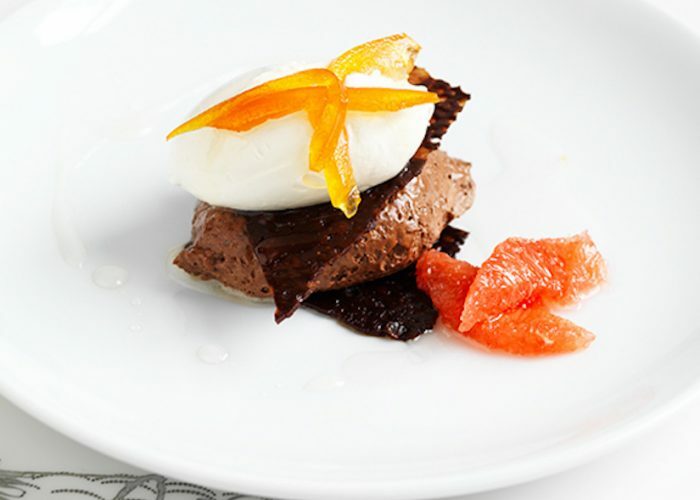 Anna Hansen’s food is inspired by her Danish background and a childhood spent in New Zealand. 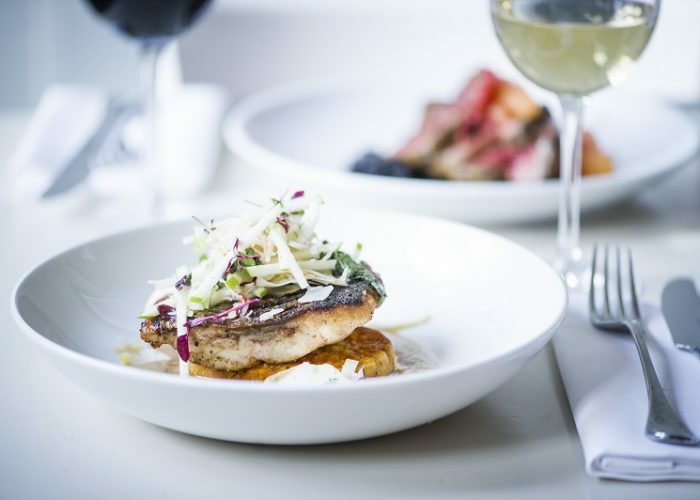 With signature dishes ranging from a Sugar cured prawn omelette with smoked chilli sambal to a Miso and tamarind marinated onglet steak, The Modern Pantry is noted for taking every day dishes and interpreting them in usual and exciting ways. 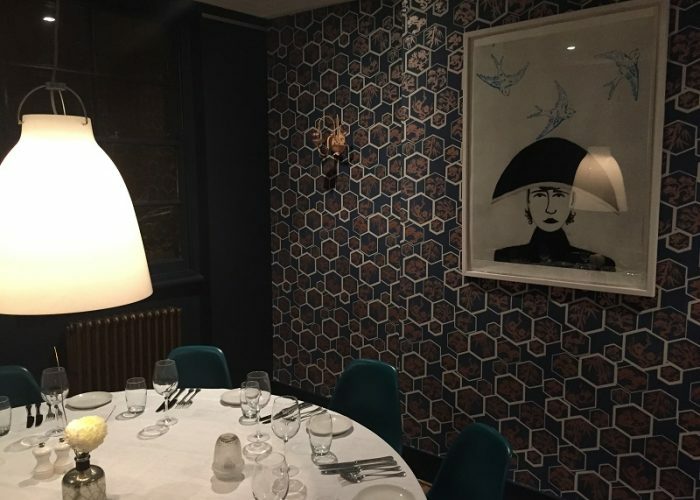 Guests using the private dining rooms are offered a regularly changing menu which is £40 per person, plus wine and service. 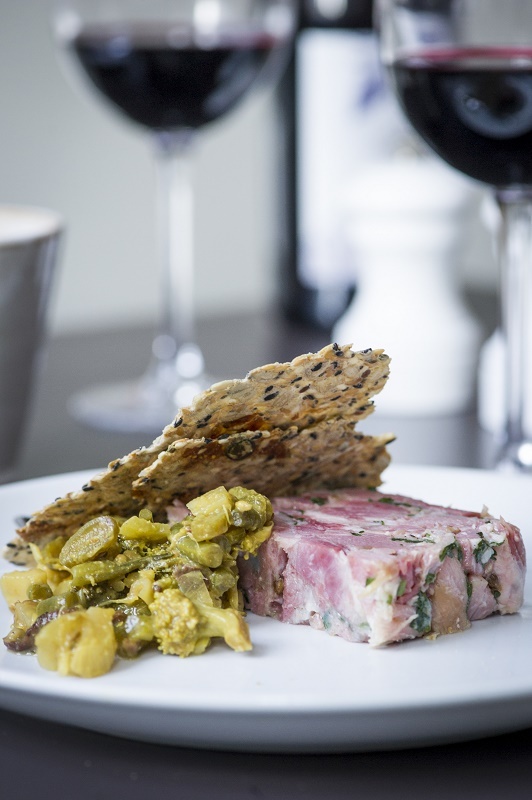 The lunch or dinner menu includes complimentary still or sparkling water, and our delicious home-made breads & we are happy to make bespoke menus for special occasions.